Wherever I go, so goes a book I am currently reading. For this reason, booklists have become part of my search of good reads. 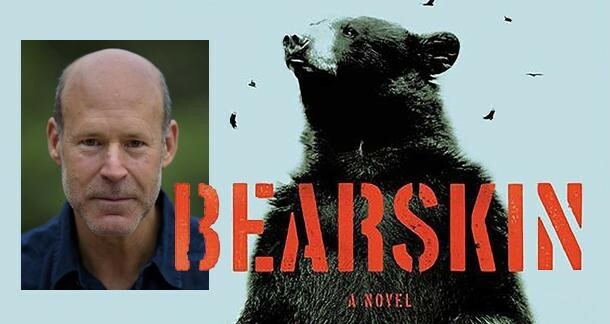 Many lists marketed by publishers focus on popular fiction and well-known authors; it was a bit of a surprise when I came across James A. McLaughlin’s debut; the gritty novel, Bearskin. Rice Moore is on the run. After barely escaping with his life from an Arizona prison, he took a job as a Wildlife Protection officer. Tucked away on a forest preserve in Virginia’s Appalachian Plateau, it seemed like a good place to lay low while he hid from men in a Mexican cartel, until the day a mushroom forager led him to a mutilated bear carcass. Poachers. Now the hunt was on, and Rice would have to leave his mountain sanctuary to go in search of the killers. And this is just the beginning. Rice gets help in his pursuit of the poachers from his predecessor, Sara Birkeland. In his pursuit of the poachers, he draws too much attention to himself. There are clashes with the locals, the police are looking at him and now he finds himself fighting with drug runners instead of running with them. This action-packed, gritty tale starts out as a man trying to put his life back together after prison but finds you can’t always run from your past and doing the right thing may be harder than just looking the other way. Told in third person, there are flashbacks that help the reader get a better understanding of this man who refuses to back down. McLaughlin’s words and story draw the reader in, with life in Appalachia in all its tough, beautiful, rugged, dangerous glory. Readers looking for a rocky adventure, tough terrain, and heroes with flaws will be drawn in and will stay to find out who will prevail. This entry was posted in Reviews and tagged Appalachian, Drugs, gritty, outdoors, page-turner, poaching on November 15, 2018 by micahfolloway.